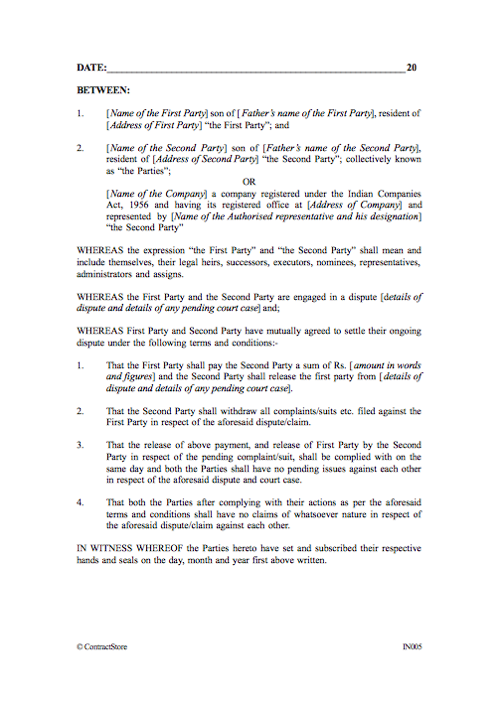 Where parties have agreed to settle a dispute on condition that an amount of money is paid to one party in exchange for them ending legal proceedings, this agreement applies. 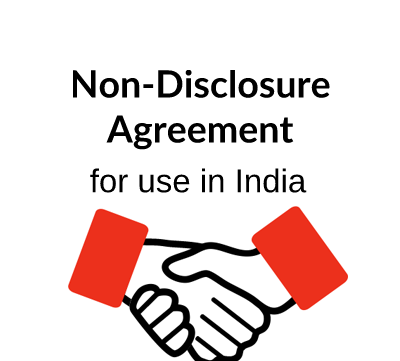 This Indian law-governed agreement is in short form and details the parties, amount to be paid, withdrawal of lawsuits, payment and termination of continuing obligations. 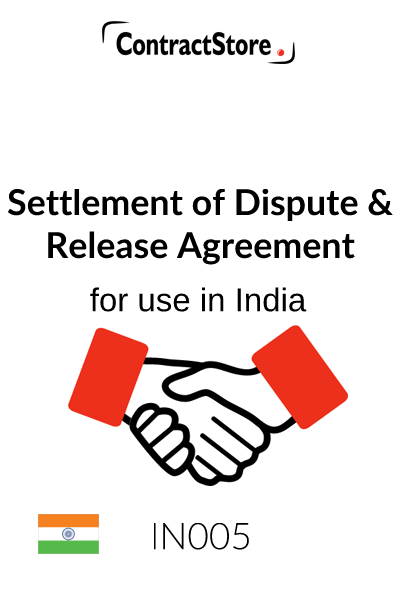 This is a simple settlement agreement that confirms that the parties have agreed to settle a dispute on the basis of an agreed sum paid to the claimant and the withdrawal by the claimant of all proceedings. The agreement is not required by law to be attested. It is important to check that the agreement has accurately set out the parties to the suit or proceedings and that the parties are competent to contract. Sample terms and conditions cover the facts and claims in the dispute that generally have been set out in earlier written communications. The simple clauses set out the details of the claims which they are withdrawing and the basis for the agreement. They can cover a wider range of circumstances and it is important to seek specific legal advice to ensure that all of the issues involved in the dispute are referred to. Accuracy is vital, particularly in respect to the full details of the parties. It is of course important to check that the compromise correctly cites the parties to the suit and the parties to this agreement are such parties and whether the parties entering into the agreement are competent to contract. Please Note: This document will not usually require registration if it is presented in court for settlement. However it is advisable to get it notarised if it is an out of court settlement.